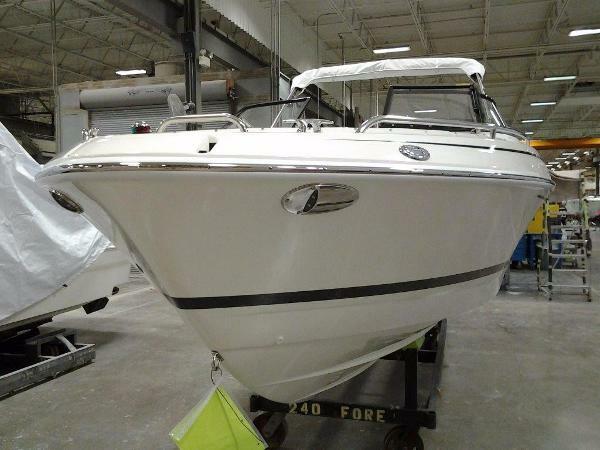 Just traded in, this beautiful 2018 Formula 240BR that is loaded with options and only 25 hours on her engine! 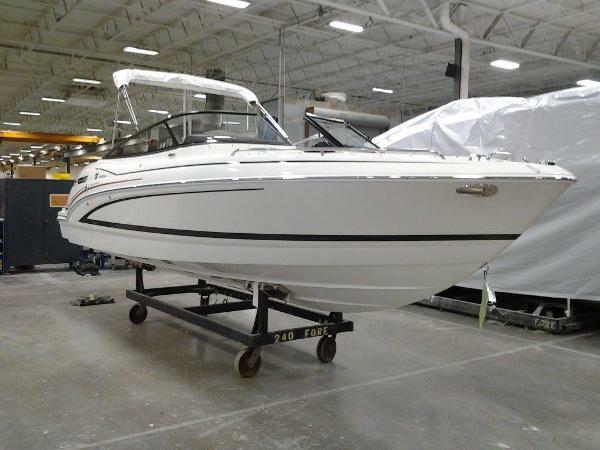 The list includes a Mercruiser 8.2HO engine (430hp) with DTS throttle, bimini top, cockpit and bow covers, Bennett trim tabs, remote battery charging posts, JL Audio lighted speakers and subwoofer, porcelain head, LED docking lights, bow filler cushions, bow ladder, fender clips, extended swim platform, ski pylon, woven cockpit mat, transom gate, cockpit table and stainless flagstaff. 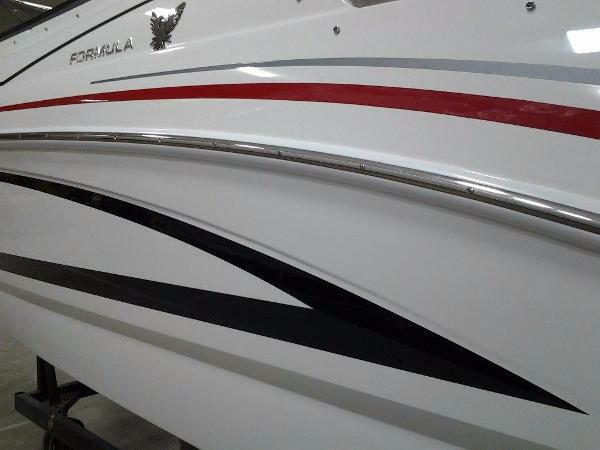 This is a loaded 240BR and she is painted in the black onyx and red color scheme. Price includes a brand new custom tandem trailer painted white with a tube steel frame, electric over hydraulic disc brakes on both axles, LED lighting, alloy wheels and matching spare tire and wheel. Call today to reserve this like-new 240BR before another day on the water gets away!